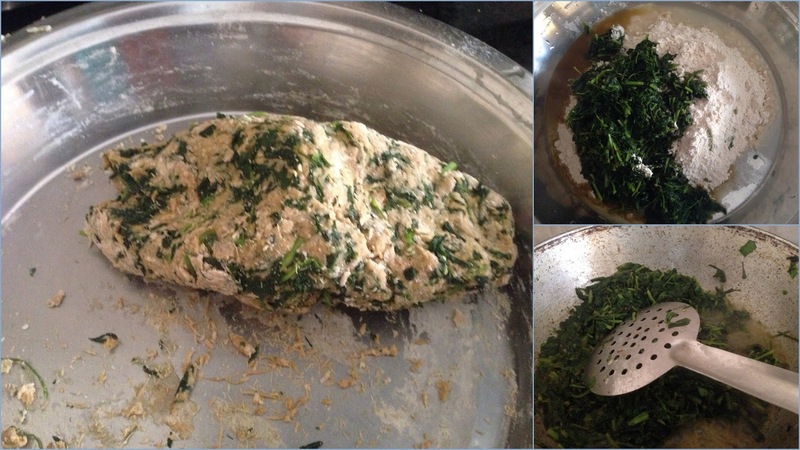 Hi friends, Today I’m back with a most loved Indian bread recipe – Methi or fenugreek leaves paratha. Fenugreek leaves are the rich source of iron, vitamin A. Methi paratha is a perfect breakfast or kid’s lunch box recipe. When kids hesitate eating veggies, vegetable paratha is a good option. Similar way makes vegetable paratha using other green leafy vegetables of choice. Don’t forget to add selected spices like coriander powder, cumin seeds powder and garlic, ginger, carom seeds to give the spicy touch to this methi paratha. Serve Methi parathas with curd, tomato sauce or raita (Mixture of selected vegetables/fruits and curd).While packing it for kids lunch box apply any fruit jam on methi paratha. Try this Methi paratha recipe and let us know how it was in the comments section. Heat pan and pour 1 tb spoon oil in it. Add mustard and cumin seeds to crackle and garlic chili paste in the pan. Add chopped green leaves and saute for 3-4 minutes. Add all spice powders and cook methi curry for 4-5 minutes. Add methi curry, besan, salt, cumin powder in wheat flour and make a hard dough. Let wheat dough rest for 15 minutes and make small balls of lemon size for rolling parathas. Roll and roast paratha on the nonstick pan. Apply oil and serve methi paratha with curd or any choice of chutney.